The Paducah-McCracken County Riverport Authority is a superior inland port facility. For more than 50 years, we have served as an economic engine for the regional economy. Our unique location provides strategic benefits to our customers. Western Kentucky has the largest concentration of navigable rivers in the world. In Downtown Paducah, the Tennessee River joins the Ohio River just outside the city’s flood wall, and the Cumberland enters the Ohio just upstream at Smithland. Forty miles downstream, the Ohio enters the Mississippi at Cairo, IL. The strategic geographic location has enabled the City of Paducah and surrounding region to become the major hub for inland river activity. Twenty-three barge companies have operating or corporate headquarters here. There are five major inland shipyards in the region that service the vast majority of our nation’s inland river towboats and barge fleets. The Riverport was established in 1964 by the legislative bodies of the County of McCracken and the City of Paducah. The operating port facility is located between river mile 1.3 and 2.0 on the left descending bank of the Tennessee River, near its confluence with the Ohio River. This property is in the City of Paducah (2006 population of 25,661) and in McCracken County (2006 population of 64,950). 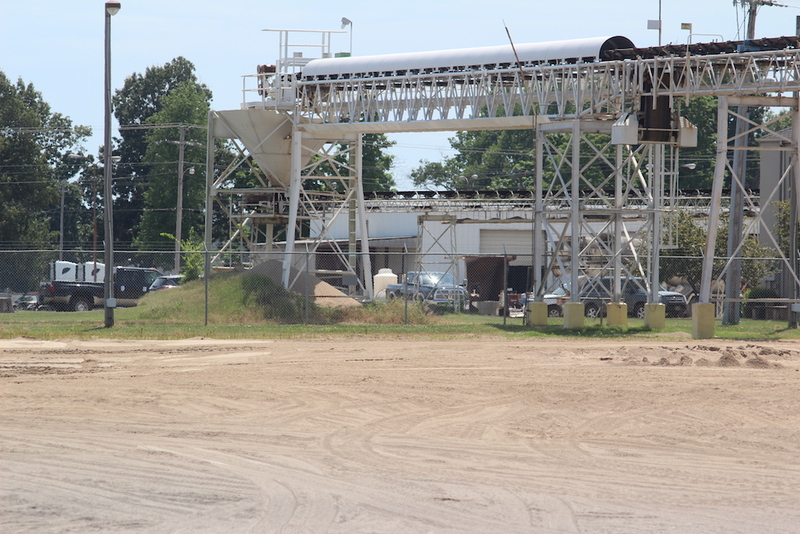 The operating port facilities are located on approximately 48 acres of land owned by the City of Paducah and McCracken County. Approximately 38 of these acres are utilized for operations with 10 acres available for development. The acreage is bisected by South Fourth Street which connects with Wayne Sullivan Drive in two locations. Land areas in the vicinity of the port are fully developed with primarily industrial facilities. We believe that with all advantages of the location of our region, we can become an industry leader – not only within our community – but for the entire far Western Kentucky area. We envision the entire region becoming a major player in both industry and transportation. We are taking the needed steps of improvement to provide an easier and more direct path to our region. We believe the administration of FTZ 294, along with the Marine Highway designation, are two major steps in the right direction. We believe in our city, our county, and most of all the people of this region. We believe this area can demonstrate to any major corporation that we are ready and willing to create long lasting relationships for the benefit of all. Major Interstate and Highway access less than 5 miles away. Enhanced security following installation of fences, lighting, and cameras, meeting the requirements of the Transportation Security Administration (TSA) and the U.S. Coast Guard. Multiple mooring facilities can simultaneously handle barges carrying various cargoes with over 2,300 cumulative feet of river frontage. The dock area also includes two warehouses (9,600 sq/ft and 2,000 sq/ft) currently utilized for short term storage of general cargo. Located adjacent to the cargo dock is a 20,000 sq. ft. warehouse that has been used for storage of various commodities, plus port-owned equipment and supplies. At the upstream end of the Riverport is a second dock, equipped with a new Sennebogen 870E Crane used to unload bulk materials. This crane transfers bulk materials such as sand, gravel, non-hazardous fertilizer, and coke from barge to a 30-inch belt conveyor. 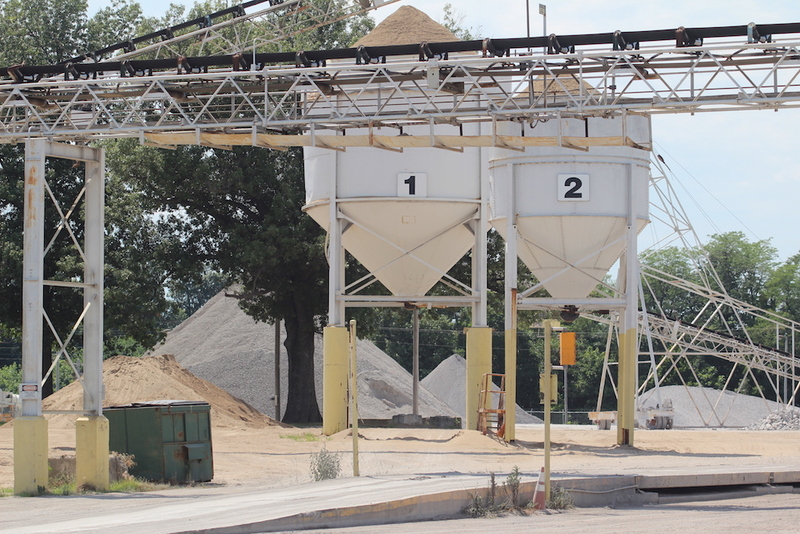 The conveyor carries the materials to the bulk storage yard where materials are routed via three radial stackers to different storage areas. 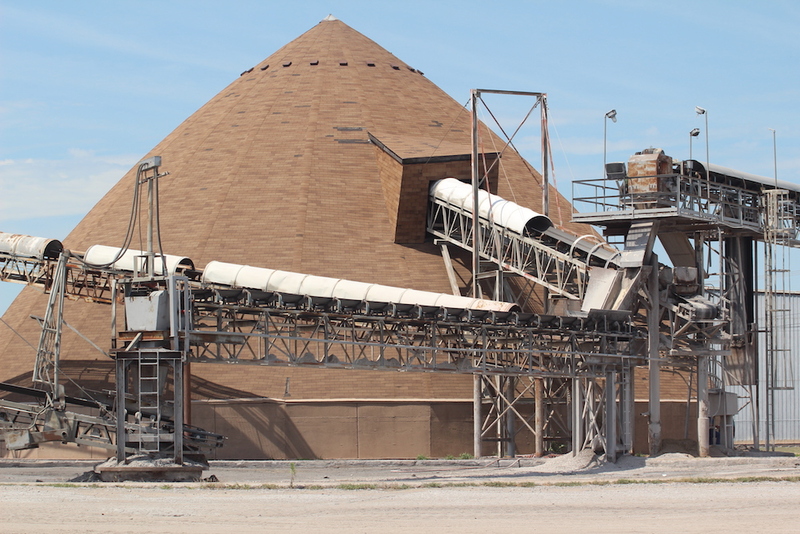 The storage areas include outside storage for sand and gravel, inside storage of fertilizer with a capacity of 14,000 net tons and two domes with a combined capacity of 4,500 net tons for storage of petroleum coke. Two additional warehouses owned by the port have a combined area of 70,000 sq. ft. for general cargo storage. Versatility and a doubling of capacity handling potential for the Paducah-McCracken County Riverport Authority. Port will be able to transfer loads flexibility with a reach 26 tons of capacity at 170 ft. Tremendous reach and reading points. A new Sennebogen 870 Crane, recently installed with a 4.5 yd. clam bucket for off-loading bulk aggregates, grains, ores and fertilizers. 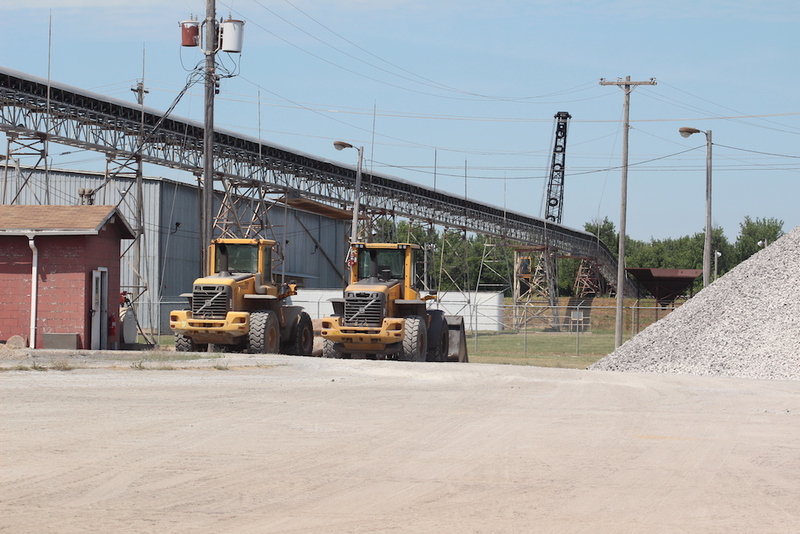 A rolling fleet of loaders, forklifts, trucks and portable conveyors transport goods throughout the Paducah-McCracken County Riverport Authority property. © Copyright 2019 Paducah-McCracken County Riverport Authority, All rights reserved.